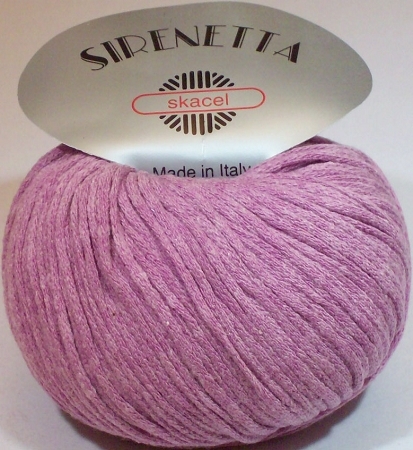 1.75-oz (50-gram) balls of Skacel Sirenetta yarn. Each ball contains approximately 121 yards. 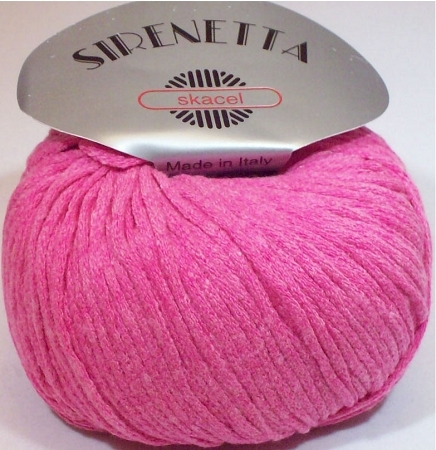 This is lovely yarn with a casual look. It is very soft. Machine washable. Made in Italy. 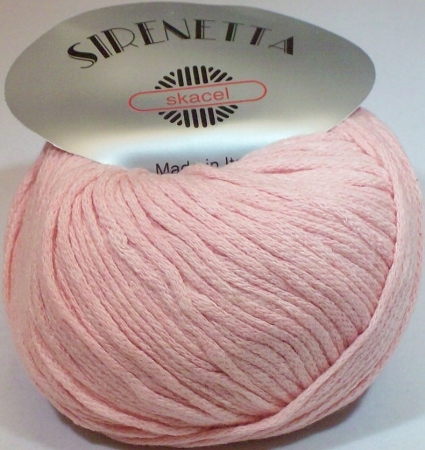 60% Cotton, 40% Acrylic. 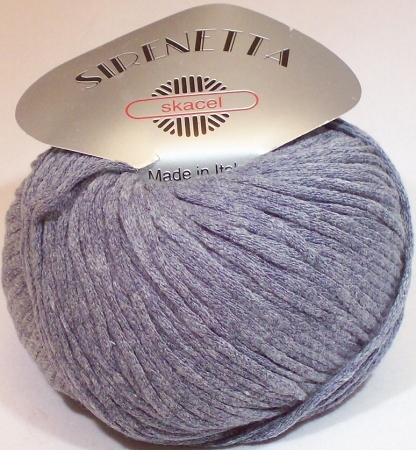 Worsted weight. 18 stitches = 4" on US size 6-8 knitting needles. 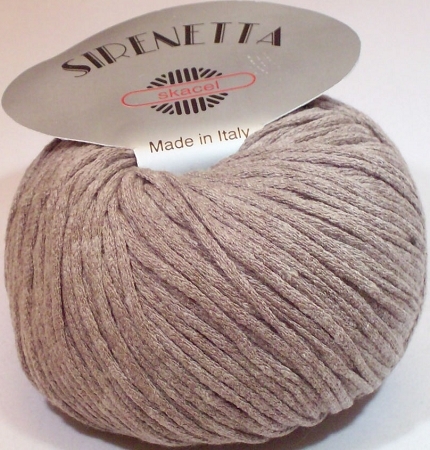 Note: This is a discontinued yarn, and no more will be available.